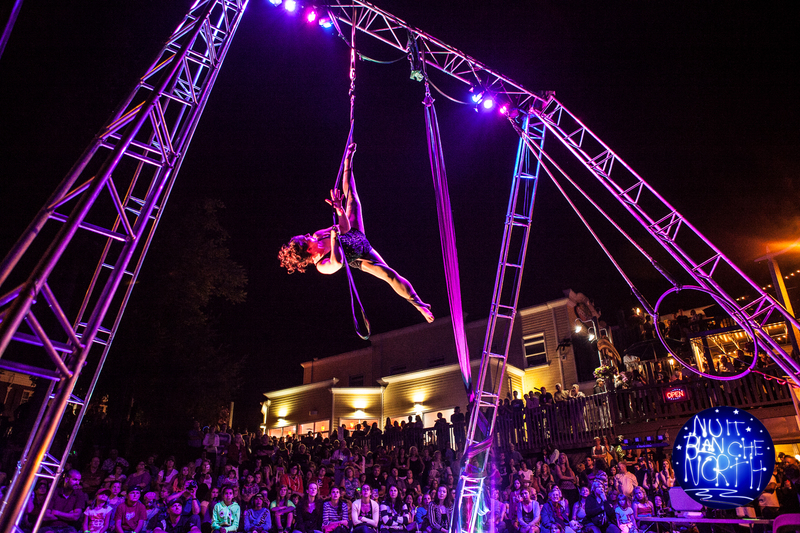 The Town Docks will be a site of light, magic and water. A place of reflections, celebrations and wonder. With contributions from the Gravenhurst Women’s Centre, Chrysalis House, The Nest, Interval House and the YWCA Girls Unplugged program. Imagining a dystopian world gripped by ecological collapse, After the End explores the ways in which Muskoka women and girls might take the lead in the event of a societal reboot. MABELLEarts and Edge of the Woods Theatre are travelling across the Muskoka Region with our trusty Sprite 400 Caravan art studio, visiting women and girls, hearing stories and making art. Together we’ll converge on the banks of the Muskoka River to create an immersive installation that will combine visual art, music and sound, radio and movement all created in collaboration with Muskoka women and girls. “Water Bodies” is gallery of print and digital images that capture the archetypal experience of interacting with the sparkling blue waters of Muskoka/Parry Sound. 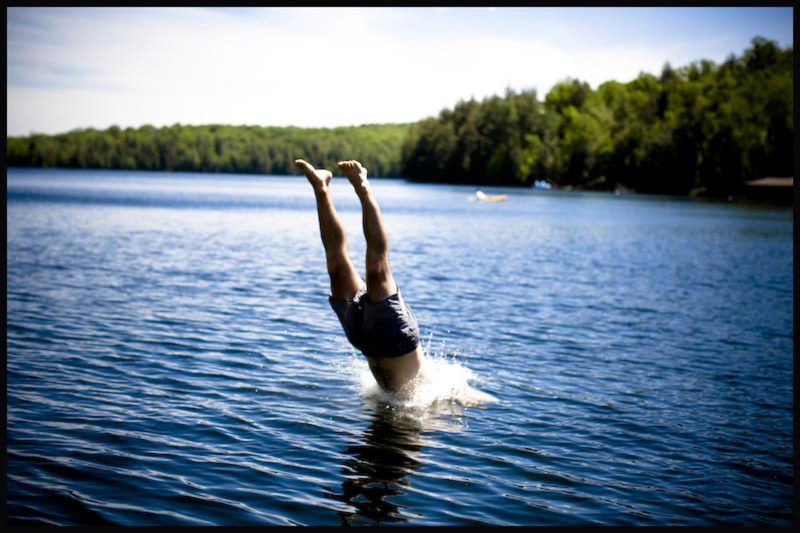 Against the backdrop of recognizable landscapes, these images capture the essence of people diving/jumping into, swimming across and floating on various lakes and rivers in the area. 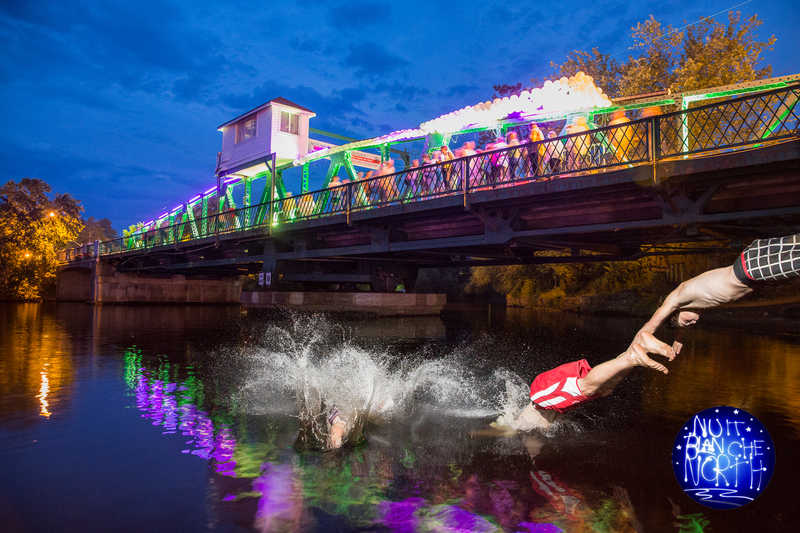 The prints will be unveiled at Nuit Blanche North next to the riveside “photo-booth” where you can have your own photo taken jumping into the water. 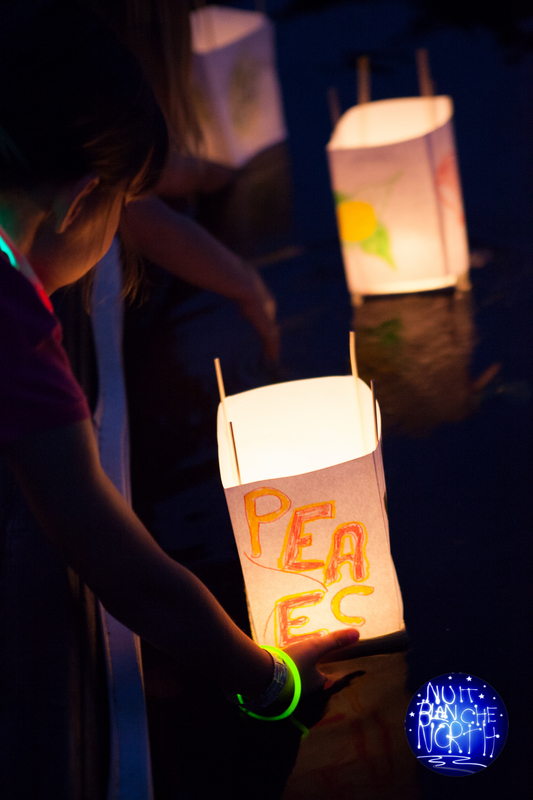 River of Light is an intergenerational community event (calling upon the participation of all ages) involving the creation of colourful, candlelit, paper lanterns (an Eastern custom) to float on the Muskoka River as a celebration of community and as prayers for our beloved Earth. The gentle impact of this event will emerge through the coming together of the creativity of individuals of all ages in a moment of meaningful participation within a communal act of hope for the future. With the flowing waters of the river as darkness descends people will float their prayer lanterns and watch as the magic grows. We can have a lasting impact upon the future through joining our hopes and dreams together for a healthy relationship with our planet. Want to make your own lanterns before the night of the event? Click Here to find out how. 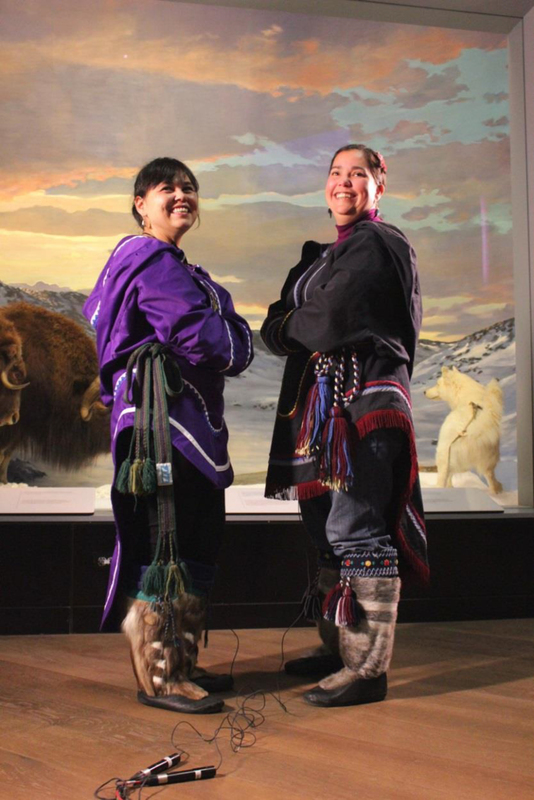 As you walk along the docks be sure to stop and chat with Lynda and Heidi who will demonstrate and show you the beautiful singing form of Throat Singing. These incredible artists visit from Ottawa where they work with the Ottawa Inuit Children’s Centre. The Northern Lights is a popular workshop presented by Nancy Hunter. This is a fun and easy classes for all ages that only takes about 15 or 20 minutes to complete your own masterpiece. As you paint, listen to stories and experiences around Northern Lights, or dream up your own. 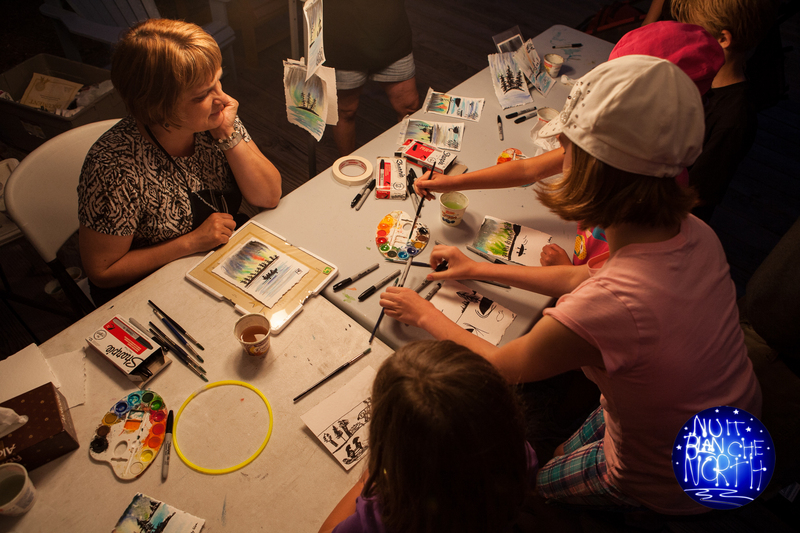 Create your own souvenir paintings of Nuit Blanche. No experience in drawing or painting, just enjoy the adventure.